The holiday season is upon us. The time frame between Thanksgiving and before Christmas Eve has defined holiday shopping. It’s a case of cash rules everything around us. 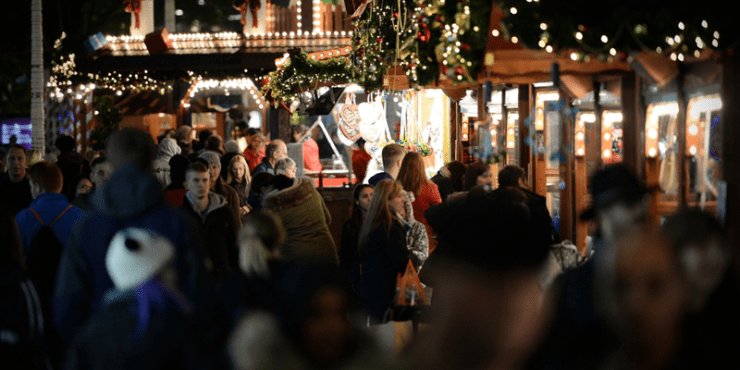 Consumers try to take advantage of every sale and rebate available, while retailers and marketers make one last push to maximize profits for the year. Politically the holiday shopping season is a vital indicator of the overall health of the national economy. But, are shopping brawls and stampedes now a thing of the past? It’s trending in that direction. There are fewer brick and mortar shops. E-commerce sales have doubled in the past four years, and projections for the future increase are optimistic. With 39 percent of shoppers skipping out on holiday shopping throughout the week of Thanksgiving. Further, deep discount for big box electronics are more available on Cyber Monday and behind the scenes–Artificial Intelligence (AI) is reshaping the retail experience. AI is more ubiquitous and more integrated into the consumer’s behavior, maybe without you even knowing it. Moving forward, can we expect more highly tailored products and services across multiple online platforms powered by AI? The simple answer is yes. One of the most widely AI technologies used by retailers is Chatbots, virtual assistants that mimic human interactions with shoppers via chat. 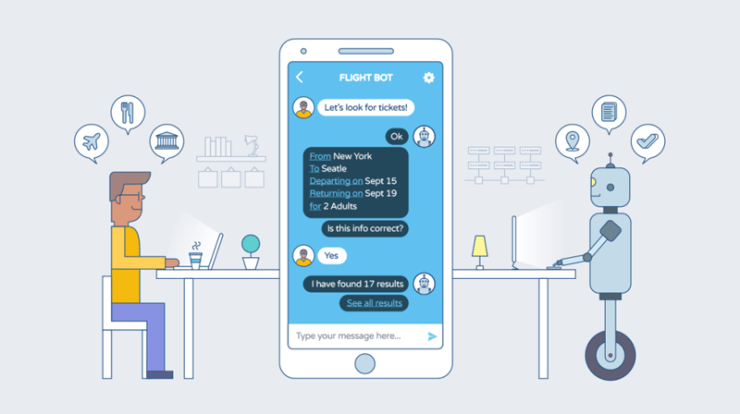 While, this technology is still evolving to better convey more complex information to consumers, a Business Insider study projects that by 2020, up to 85 percent of customer interactions will be managed with this chatbots or similar technology. Chatbots currently act like helpful retail assistants. Instead of having customers fill out forms to get help, or select from a drop-down menu when choosing merchandise, chatbots answer general questions or make suggestions. Next generation retailer AI-powered chatbots can learn customer behavior as well. A recent article on Medium gave the example of a shirt purchase. After purchase, the chatbot can easily tell the buyer about a shirt that looks similar to what they’ve gotten before or suggests other items that could match the dress they bought, like a wristwatch or a nice shoe. The social medium platform Pinterest has transformed the way that consumers shop, by using its pre-existing search algorithm driven by user activity, which gives the consumer the power of “product discovery” and “purchase planning.” Pinterest allows users to research by viewing, visually sampling, and comparing products and services. Retailers, like Target and L.L. Bean, use pinnable ads with links to products in users’ requested queues that lead consumers to their mobile site. Perhaps the most robustly integrated AI technology exists in Google and Amazon’s keyword and searched-based algorithms. These platforms create preference listings and recommendations from various retailers which give consumers fewer options that are more aligned with their interests based on search history. Despite AI’s level of improved consumer experience, a few problems leave some consumers unsatisfied with the efficacy of AI in the retail space. While deep learning is partially integrated with human search, it is very limited in determining future purchases. An estimated 70% of online shopping carts are abandoned before customers complete their purchases. Part of this issue is AI is a relatively new technology within the retail environment. Various AI systems are not fully integrated with each other, they are still collecting data, and that data is not being shared freely across all platforms…yet. Also, one of the areas where IQM is taking a leadership position in AI advancement and integration is a more comprehensive approach. IQM’s usage of AI for digital advertising combines human intelligence, audience intelligence, with artificial intelligence. In a retail setting, this three-prong approach would combine the feedback, insights, and preferences from customers and the sales team, market data impacting new products with machine learning. The full AI experience, like that or the Matrix or Eagle Eye, is not far away. Companies like North Face are teaming up with technology partners such as IBM to create more interactive experiences directly between AI technology and the consumer by asking the consumer exactly what they want and why instead of depending solely on search history. Google too, is ever-changing in its ability to capture and share the AI experience in a deeper way with new technologies, such as Duplex. Duplex is a human-like AI voice technology that works to integrate more complex commands and actions with customers, such as making appointments and replacing phone robots to assist with more complex issues and convey deeper information more readily. In summation, the days of fighting a fellow shopper for the must-have toy of the season may be over, but with the development of AI, a new holiday shopping season is in our future. It’s one that’s less violent, but better able to anticipate a consumer’s needs, simplify the payment and discount processes, and allow shoppers to get back to interacting with their loved ones. Is there any way that AI can wrap our presents too?